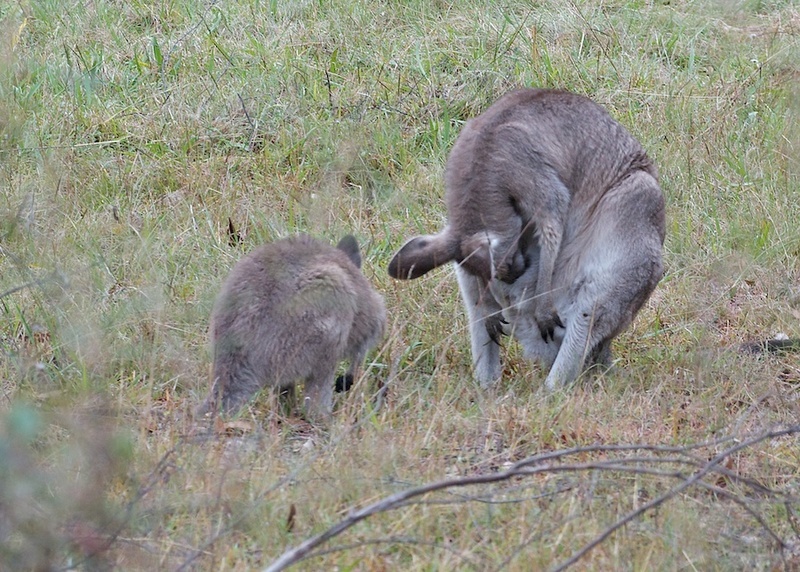 We don’t usually see Eastern Grey Kangaroos with their noses stuck into their pouches. We think this mother has just, or relatively recently, given birth and that the tiny babe has just made the trip into the pouch and is settling onto the teat. The joey to her left has recently been evicted from the pouch, though will probably still be feeding from mum.